King F.A.M.E – Rising To The Top! Born into a life of hardship, Marcus Legette aka King F.A.M.E always walked with an air of pride and inner certainty that his hard times wouldn’t always be so. The Upstate New York rapper, raised for most of his childhood by his maternal grandparents, was surrounded by a family of musicians. Learning to play the drums at the tender age of 4, it wasn’t until his mother began to notice that her son had a keen knack for the lyrical styling’s of a rapper in the making, that she began encouraging him to join his school band. Through all of his ups and downs, Marcus always knew that music was his only saviour.Moving to Atlanta with his family, Marcus began excelling at life but with the sudden and tragic loss of his mother, Marcus’ world spiralled into despair and it was here that he turned his pain to hip hop. After releasing his first mix-tape “Street Heat Vol 1“, Marcus moved to Winston Salem to focus on his education, basketball and music career and ultimately stay off the street. The streets, however, came calling through a spell of assumed drug related charges which soon saw Marcus on the wrong side of the law. Once released from jail, Marcus added the moniker of F.A.M.E to his name and began working with Magneto 7, Grammy Award winning producer for Eminem and Ski Beatz of Reasonable Doubt fame. Cleaning up his life and getting his hustle straight, King F.A.M.E emerged and has been steadily working with Sony / BMG America prepping for the release of his next project “Rise 2 F.A.M.E.” , ready to show the Hip Hop world just what his message is all about! How would you best describe your Hip Hop journey? The moment you realised making Hip Hop was for you? I was first inspired to get into hip hop by listening to Bone, Thugs n Harmony. I thought I was going to be the sixth member & everything lol. I grew my hair really long & even had a bone name. “Blood-n-Bone”. They were using a style so unique & different to me that it opened me up to all the possibilities for hip hop and that’s when I decided that I wanted to do rap. Your childhood was one that would challenge many but you pulled through and kept it moving. Being born to teenage parents and eventually raised by your young mother on her own, how has that shaped the man you are today and the music you create? An executive from Universal Music once said “The greatest success comes from the most dire circumstances” I feel the struggles I witnessed only strengthened me for the journey I was set to take as a child growing up music was the only constant in my life and my discography is a reflection of that. Your current single “Who Am I” has just dropped as well as your official music video on YouTube. How would you best describe your sound and hip hop style? I call my sound ‘fusion music’. It’s a combination of the different genres like rap, hip hop, rock, dance & R&B that creates a sound that truly reflects all my experiences. Music Video – Who Am I. What are your thoughts on today’s Hip Hop artists? Who would you say your musical influences and why? I feel like today’s hip-hop artists are just a reflection of past artists, all around the board. My current musical influences don’t make we wanna imitate their sound but more so respect their process. I respect Drake’s attention to detail in his writing & Future’s willingness to push the envelope musically. What’s the reason behind your name King F.A.M.E? I used to just go by F.A.M.E (For All My Enemies) but as I got more into the understanding of the book , ’48 Laws of Power’, it said “act as royalty and be treated as such”. It’s a motto I live by. 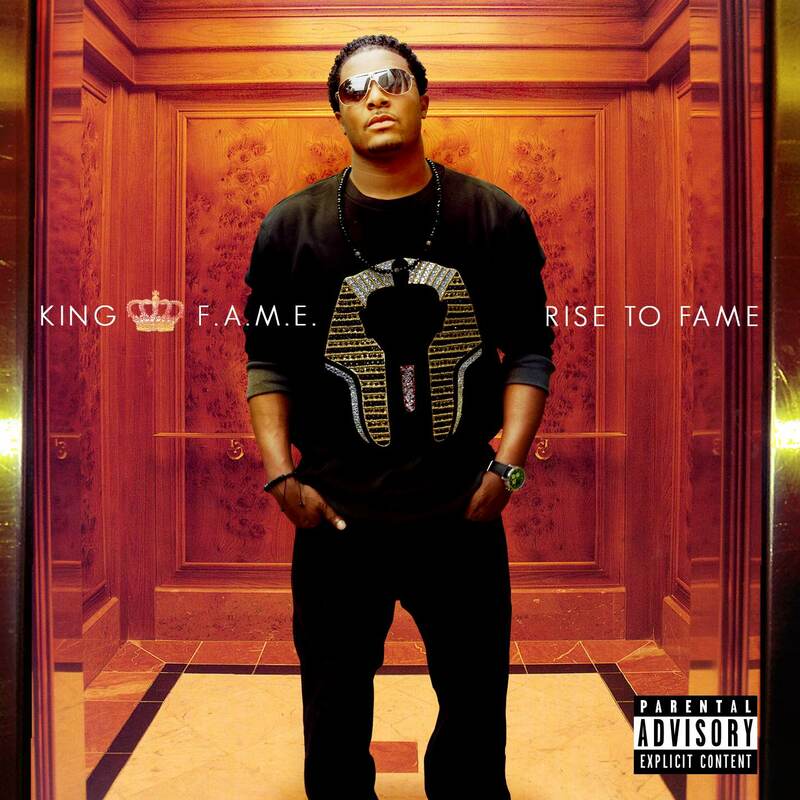 Tell us about your debut album and the Hip Hop world can expect from King F.A.M.E.? My debut album has something for everyone in my opinion. I wanted to make it complete sonically with very full lows, crisp highs & filling mids. This album is like the intro to a collection of albums. A “To Be Continued” if you will. What is your mission statement for how you live your life? ← DJ D – Put a Needle on the Record for Australia’s Illest Female Turntablist!